Tahoe is the perfect year round destination for a family vacation. With everything from ice skating, skiing, and sledding in the winter to water sports, hiking, and building sandcastles on the beach in the summer, and tons of activities in between. 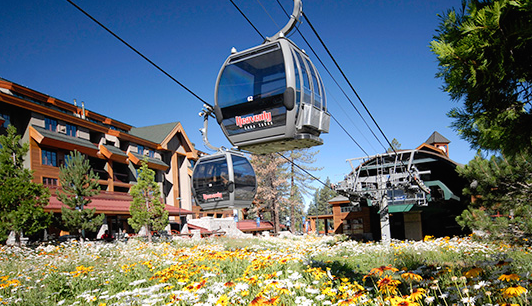 Plus our hotel is only a step away from the Heavenly Village – home to a movie theater, mini golf (summer), ice rink (winter), lots of shopping, and the Heavenly Gondola! 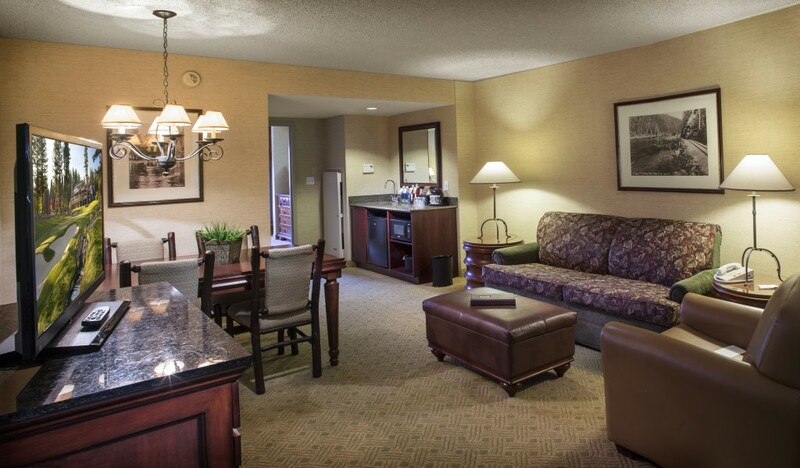 As Tahoe’s only all suite resort, we aim to make every family as comfortable as possible during their stay with us. 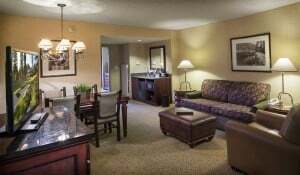 All of our suites feature a spacious two-room layout with either two queen beds or one king bed in the bedroom, and a pullout couch in the living room. This allows for plenty of space for everyone in the family to spread out and even have a little privacy. No more worrying about waking the little ones during their nap while the older ones hang out and watch TV. The suites also feature a wet bar complete with a mini refrigerator and microwave so you can keep snacks on hand to feed those growing kids. 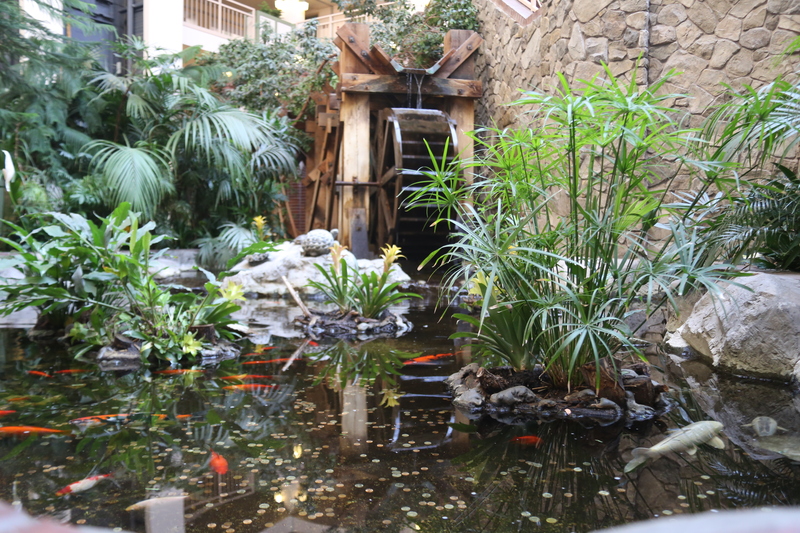 Around the hotel, kids will love exploring our three garden atriums and visiting the koi pond to watch the fish and turtles. The indoor pool is also a great place for kids to burn off some energy, regardless of the weather outside. We also know feeding a family can be expensive, which is why we are proud to offer our complimentary breakfast buffet. Even the pickiest eaters will find something to eat from the multitude of choices. If you’re looking to connect as a family, book our Tahoe Family Break Package. This two-night package includes a Pizza Dinner with two 10” pizzas, salad and soda, A Mt Tallac sized dessert featuring 9 scoops of ice cream, whipped cream piled wickedly high, crushed Oreo cookies, and lots more including board games, popcorn, and an Around Lake Tahoe self guided tour CD, with map, history, cool spots, and legends! Plus our onsite concierge can help recommend and book any additional activities around the lake. Oh and did we mention kids 17 and under stay free? What are you waiting for — book your next family vacation to Tahoe now.